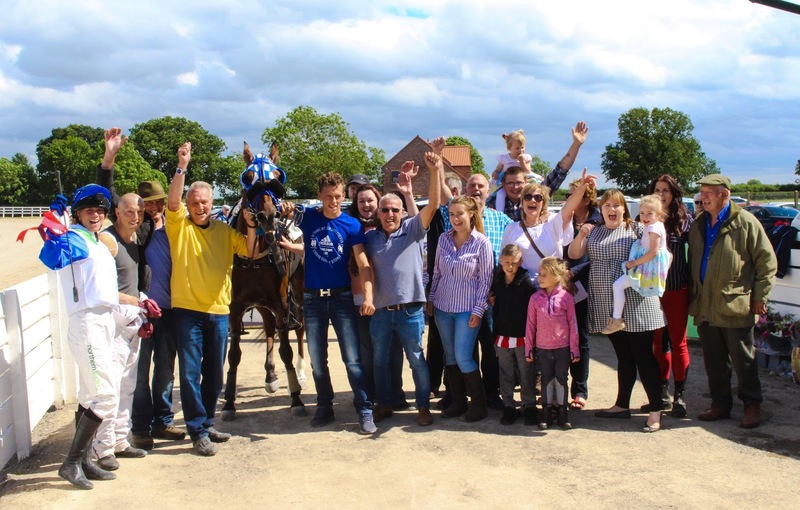 Harness Racing in the UK: Take a bow Alexis Laidler! Take a bow Alexis Laidler! That goes for women, too. On Saturday 24th June 2017, one woman didn’t just break a record; she smashed it. And everyone was cheering her on as she did it. Alexis Laidler is no stranger to the spotlight, and indeed all of the scrutiny that comes with it. Champion trainer eight years in a row, she has faced arguably a more intense observation from both the governing body and fellow participants in the sport as her stable recorded victory after victory, from the smallest tracks to the biggest meetings. 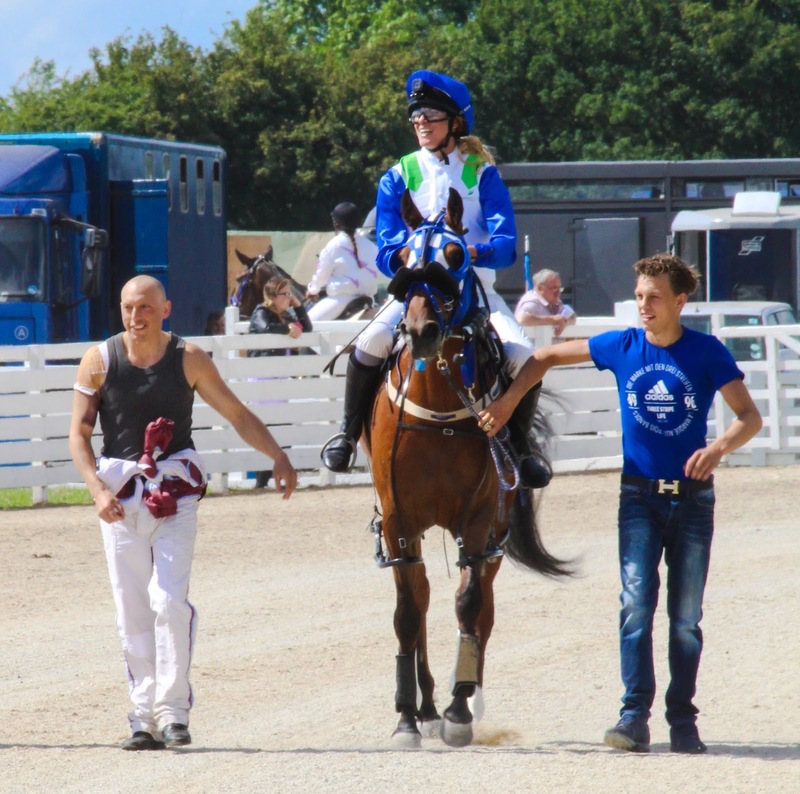 After a 12 month hiatus, she has returned with a bang as a trainer, but on this particular day she was not content to allow husband, Rocker, to have all the glory on the track. 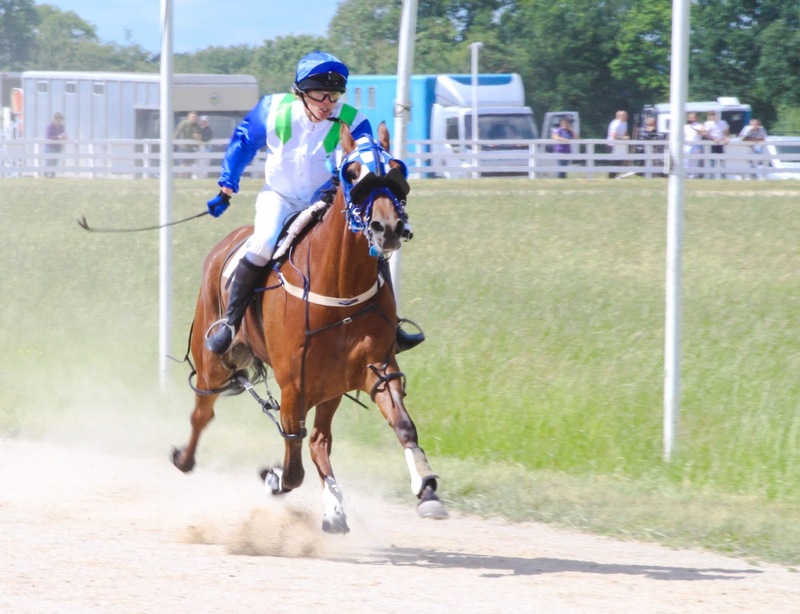 Racing under saddle in the UK, under BHRC rules at least, is an element of the sport of harness racing which does not garner much support. Spectators don’t want to see it; punters don’t want to gamble on it; bookies don’t want to take bets on it. It feels, at times, that the only people it matters to are those directly involved in the races; the jockeys, trainers and owners. That they enjoy what they are doing is of little relevance to those wishing to forge ahead with making the sport of harness racing ‘more professional’. When the runners for the saddle race were published, for many it was simply the chance to plan when to head to the bar on the Saturday afternoon at York. It was a race they were willing to miss. Until some genius billed it as an attempt to break a world record. Suddenly people wanted to watch the race, fairly confident of who would win on previous form but more intrigued as to whether a record would fall here, on our soil, as the world watched us. I was at Amman Valley the night that Doonbeg set a world record for a mile (on less than a half mile track) in 1.53.7. I remember that feeling of seeing a horse so far clear that the only thing he was racing was the clock. The benefit of Amman Valley being that there is a large digital timer inside the track, so for the handful of us that were there we were able to watch the clock as that little horse powered home. I’m a sucker for a blanket finish, but when you see performances like that, record-breaking performances, it doesn’t matter if one horse finishes a distance clear of the field. The previous record for a Standardbred pacer over a mile under saddle stood at 1.59.3. Alexis Laidler and Evenwood Sonofagun went through the quarter in 27 seconds; the half in 58 seconds; the three quarters in just under 1.27...and as the duo turned for home Alexis gave 'Gunner' a few cracks with the whip to keep him going right to the line...in 1.57.5. That's nearly two full seconds off the original record. 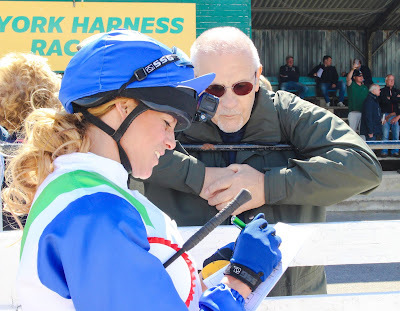 From the 'Jockey Cam' and footage filmed by Elizabeth O'Neil, the moment when Alexis heard the commentator announce the official time will forever be burned into my mind. The sheer delight, the cheer, the praise she heaped on her horse...I'm not going to deny that that didn't bring a tear to my eye. The publicity that this particular race has generated for our sport is unreal. From sport-specific websites to the local newspapers in the Laidlers' area, more and more people are seeing what we do. That alone is enough justification for me for putting on such races, because we are not a 'one size fits all' sport and what appeals to me may not appeal to you. We are now taking various elements of our sport to the wider public - something like this might capture someone's imagination and be enough to make them want to try it themselves. Congratulations Alexis, Gunner, and the rest of the team at Merrington Stables for this fantastic achievement! Signing autographs as the new World Record holder!